Juan Pablo Duarte was born on January 26, 1813 in Santo Domingo. At the time the Captaincy General of Santo Domingo belonged to Spain. In 1821, the Creole elite defeated Spanish colonialists and established the Republic of Spanish Haiti. Thus the Haitian occupation of Santo Domingo began. In 1838 Duarte along with a group of young people founded La Trinitaria, a secret patriotic society, to win independence from Haiti and establish the Dominican Republic as a sovereign state. In the following years, Duarte and other members of La Trinitaria allied with other revolutionaries who helped them spread the ideas of liberation. Finally, in 1844 the Dominican Republic became an independent state. Duarte was offered the presidency, but he refused and insisted on democratic elections. 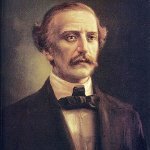 Duarte's birthday is observed as an official day of remembrance and public holiday in the Dominican Republic. On this day, various ceremonies are held to honor the memory of the national hero. The largest ceremony takes place in Independence Park in Santo Domingo, the country's capital.